All our castles are Pipa tested and all our electrical equipment is Pat tested so you can be sure that when you hire from us we take your child's safety very seriously. 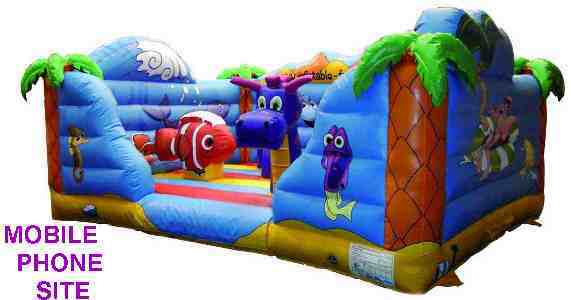 If you're looking for the biggest and best in Grimsby bouncy castles then here we are. Loads of bouncy castles for hire (kids-to-adults) with slide combos, double-size Assault Courses, Dalek parties, Sumo suits, Chocolate Fountains, Diddi-car with track, Ballpools, Softplay toys, ULTRA-VIOLET PARTY MARQUEE hire with disco lighting & smoke machine for the best teen party ever. GIRLIE GLAMPING tent hire with lighting & inflatable beds. HAWAIIAN BEACH PARTY with inflatable hot-tub/palm tree & Beach-Bar. Also with the biggest and best choice of All-in-One Full-Package children's parties from our selection of favourite themes. It's what we do and we do it well! 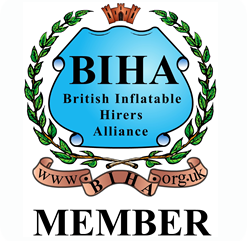 Check out the buttons below to see all of our bouncycastles, there are two pages to look through and clicking on each photo will take you to it's dedicated page on our mainsite with more info and photos. email us, enquiries only please!